If you could chat with the creator of the universe, what would you say? Exciting, right? On second thought, sounds a bit intimidating! But what if you could experience�risk free�someone else�s conversation with God? It may just stimulate your own. 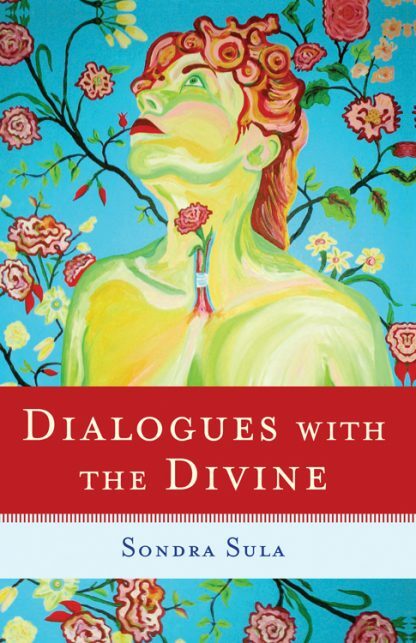 Dialogues with the Divine follows Sondra Sula�s quest to find answers to age-old questions, straight from the source: God. At the beginning of her journey, she interacted with flora, fauna, and objects as the intermediary between her and God. She�d �talk� with a particular subject (praying mantis, flower, tree or whatever she gravitated to at that particular time) recording her side of the conversation and the subject�s side. After several years, she discovered she no longer needed a mediator and she felt comfortable addressing God directly. At first, Sula came to God only when she had a problem to solve, but when she quickly ran out of �problems,� she simply spent time conversing. They talk about generosity, compassion, illness, fear, serenity, gratitude, and so much more. Throughout their conversations, God plays a variety of roles from best friend to therapist to parental figure, but above all�Divine Being. As their intimacy evolves, layers of Sula�s previously unknown dishonesty peel away, replaced by a transparency that lays bare her soul. Dialogues with the Divine will help readers reignite their desire for personal enlightenment by simply eavesdropping on conversations with the potential to change their lives. The unwavering message throughout the book is that we are each loved for our unique selves with the potential to access God at any time. Sondra Sula is a Quaker mystic with a deep passion for spirituality. She practices a number of spiritual disciplines, one of which is recording dialogues between herself and God. Sula divides her time between writing and visual art. She has authored several children�s books and has contributed to a number of anthologies. She lives with her paleontologist/artist husband, Rob, and their sweet stray dog, Sadie, and derives inspiration from her wild, unruly garden.